Juventus vs Ajax predictions, betting tips and preview for the Champions League quarter final second leg in Turin this week. The tie in finely balanced after a 1-1 draw in Amsterdam but Juve have their vital away goal thanks to Cristiano Ronaldo. Ajax thrashed Real Madrid at the Bernabeu in the last round of the Champions League. Cristiano Ronaldo got the vital away goal for Juventus in Amsterdam last week. Juve turned around a 2-0 deficit in the last round, beating Atletico Madrid 3-0 in Turin. Cristiano Ronaldo’s opening goal last week was cancelled out by David Neres to leave this quarter final tie finely balanced. Ajax’s young side are having a season to remember in the competition but are still in a title fight domestically. They’re level on points with PSV at the top of the Eredivise so couldn’t afford to rest too many players for their 6-2 win at the weekend. Ajax score a staggering amount of goals so the experienced Juve backline will have to be at their best in Turin to stop the visitors getting an away goal to cancel out Ronaldo’s. They managed to in the last round against Atletico but for our Juventus vs Ajax predictions, we think the visitors will score in Turin. Juventus had Cristiano Ronaldo to thank in the last round, his hat-trick overturned a 2-0 deficit from the first leg to see Juve into the last eight and they’ll be reliant on their superstar once again on Tuesday night. The experience of this Juve side should be just enough to see them though but it’d be no surprise if it took another Ronaldo masterclass to knock-out this brilliant Ajax team. Goals could be on the menu again in this one, especially if there is an early goal. Ajax have now scored 19 goals in their last four matches so even the Juventus defence won’t deter them from playing in their usual attacking style, that makes both teams to score and over 2.5 goals look like good bets for this one, however, for our Juventus vs Ajax betting tip, we’re keeping things relatively simple and backing that man Cristiano Ronaldo to steal the show once again. 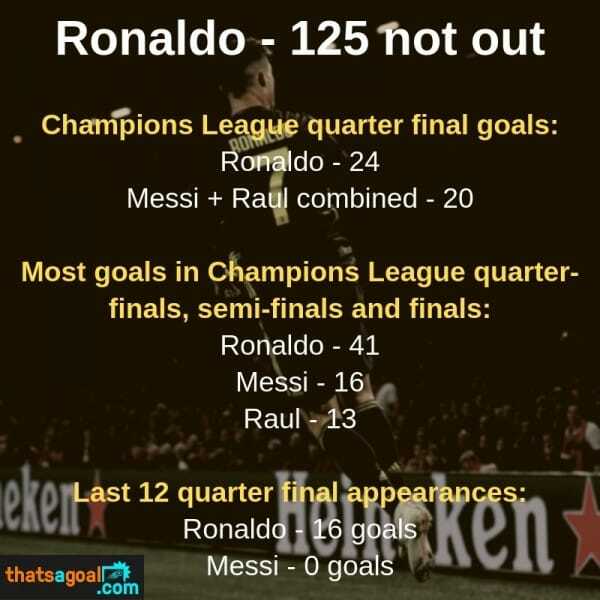 Hie record in the Champions League is remarkable, and he seems to get better as the tournament goes on, as you can see from the Ronaldo Champions League stats below. The odds for Ronaldo to score first are always short but at almost 3/1 with Unibet, this could be a very good bet given his record. He scored the first goal in the first leg last week and also got the opening goal in the last round against Atletico Madrid. Penalty duty always gives us the extra chance of Ronaldo scoring so he’s the selection for our Juventus vs Ajax predictions this week. Get a £40 sign-up bonus when you open a Unibet account to bet on the Champions League this week. The last of our Juventus vs Ajax predictions for this week’s quarter final second leg is a correct score and we’re hoping for a tight Juve victory. The earlier prediction of Juve win and BTTS needs to be reflected in this tip and a 2-1 home win does just that. Juve were actually beaten at home on Saturday, but they have commanding lead at the top of the Serie A table and changed almost every player in their staring line-up – Ajax didn’t have that luxury as they’re still in a title fight domestically. Juventus did lose to Manchester United at home in the group stage, showing they do sometimes concede goals and given that Ajax have scored in 14 of their 15 Champions League matches this season, including away at Benfica, Bayern Munich and Real Madrid, we’re expecting them to get a goal in Turin. Read More: See our Barcelona vs Manchester United betting tips and predictions. 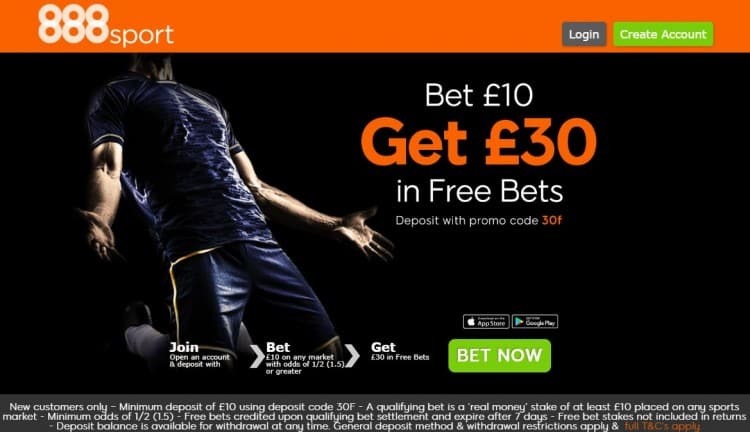 CLAIM HERE – bet £10 get £30 free.